Spring in Florida begins to usher in the swimming pool and beach season. The end of the school year signifies swimming lessons, pool parties, and the joys of summer in Miami. Unfortunately, swimming pool accidents remain a high occurrence throughout the state, especially for children. If you or a child were injured in a public or private pool, our Miami swimming pool accident attorneys may be able to fight for financial compensation. The family should not be forced to cover the expense of their child’s recovery, in addition to handling the emotional impact of the accident. Our Miami personal injury attorneys are here to help. Property owners have a duty of care to protect all visitors to their property, which is especially important when the property has a swimming pool. Swimming pools qualify as so-called “attractive nuisances,” and property owners who are aware that children routinely jump their fence to swim in their pool must take adequate steps to prevent this from happening. A trespasser who becomes a victim of a swimming pool accident could have a claim against the property owner, especially when that trespasser is a child. The failure to adequately supervise children, and even adults, in a swimming pool is one of the leading causes of swimming pool accidents. Lifeguards at public and private swimming pools have a duty to protect and observe swimmers, and the failure to notice a drowning victim could result in a claim for negligence against the individual lifeguard or their company. Swimming accidents are some of the most devastating and serious accidents which can occur to children, as they can impact their future in a very traumatic way. Children who have been underwater for an extended period of time could face a tough recovery battle, and their family may have to adjust to accommodate their injuries. An experienced personal injury attorney will be able to assist you in developing a claim for damages against the responsible party. 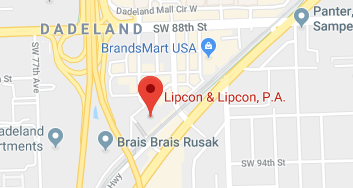 If you or your loved ones were the victims of a swimming pool accident, do not hesitate to contact the attorneys of Lipcon & Lipcon. Swimming pool accidents can have a tremendous impact on the future of the victim and their daily life. Contact our Miami office today and we will work closely with you to draft a claim for damages.